"We have successfully transformed Spike from a hyper-fueled network for young guys into a distinctive entertainment destination that's inclusive and female friendly," said Kevin Kay, President, Spike. "We built that foundation with gender-balanced original hits like "Bar Rescue" and "Ink Master, " Now those hits are paving the way for the next step in our development with shows like "Tut" and "Lip Sync Battle." The new Spike has got it all: big talent, engaging shows, and hits that get people talking. We are the ones to watch." 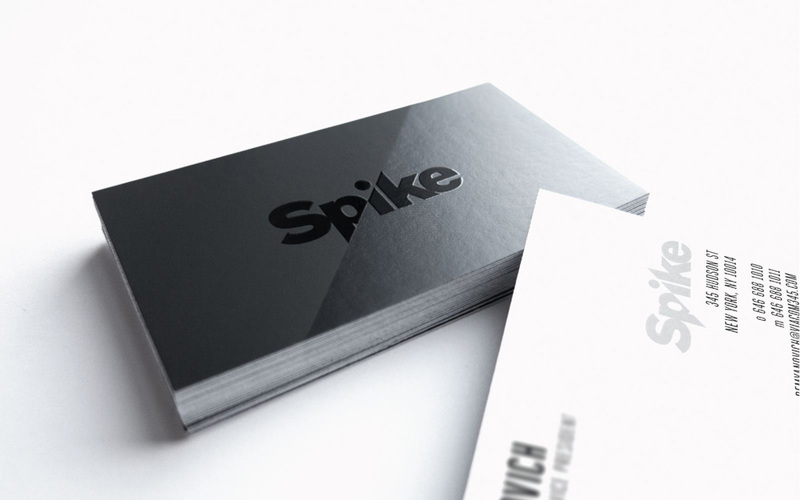 The tagline "Spike: The Ones To Watch" encompasses the network's strategic shift to a general entertainment network delivering compelling original entertainment with an edge and a distinctive point of view. It speaks to the network's bold personalities and a brand pushing the boundaries of the unexpected. 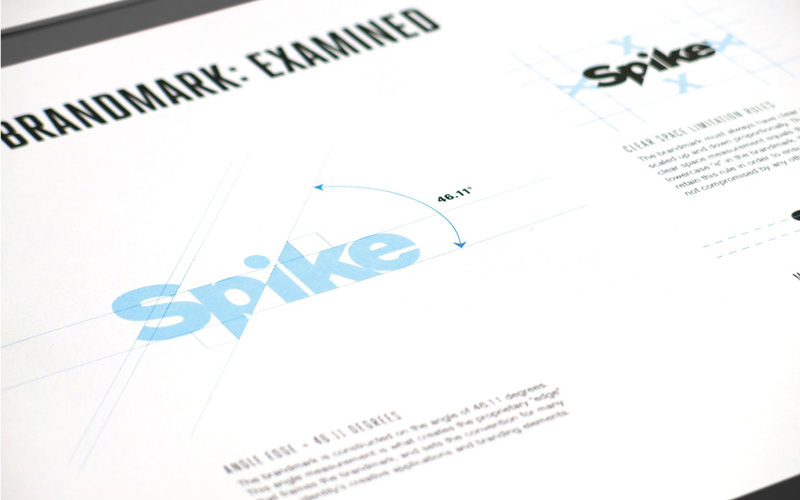 With a dynamic multi-platform redesign, Spike's on-air look will reflect the brand's evolution. Not a whole lot of information or any additional applications on this one, not even a tiny motion tease. Nonetheless, as a standalone logo update, this is a really cool evolution. The previous army-like badge was fine and it could have probably worked for another few years. The new logo is not "better" than the old; it's just a different approach and I like it both in idea and execution. The slice to generate the spikes is in the right place, at the right angle, and cutting through the right pieces of letters. This is a really hard trick to pull off and other than the "e" that could be nudged a bit to the right, it's spot on. I'm not sure how this fulfills the change from a male-driven channel to a general audience, female-friendly channel since it still feels fairly masculine and aggressive. Update: Design credits and sizzle video have surfaced; post has been updated. In summary: cool business card; odd choice of condensed sans serif approach on the motion, it's like two separate projects. Thanks to Keith Thomas for the tip.